Created in 2004, the Family Friendly Museum Award is the only museum award in the UK to be judged by families. It gives family visitors a voice on how they feel about the museums they visit and shows that any museum, regardless of size or budget, can create a brilliant experience for families. 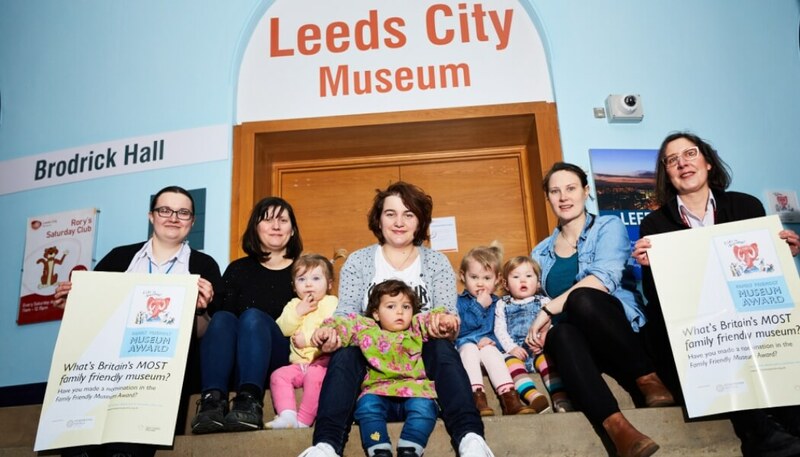 Last year saw Leeds City Museum crowned Family Friendly Museum of the Year 2018. The museum won praise for its helpful staff and great activity programme, including baby-friendly curator talks and ‘Dadstastic’ Days. For the first time this year, in addition to one overall winner, Kids in Museums has introduced award categories based on museums’ visitor numbers to cover small museums with up to 150,000 visits, medium between 150,000 and 500,000 and large museums from 500,000 visits upwards. Following the 31 May deadline an expert panel will whittle down the nominations to a shortlist. Undercover family judges will then visit each shortlisted museum over the summer and assess them on how well they meet the Kids in Museums Manifesto. The Manifesto is a set of simple guidelines created by children, young people and families and sets out what they feel makes museums welcoming and inclusive places. Kids in Museums has today launched an updated version of its Manifesto for museums and families. The family judges’ experiences will decide the winner for each category and an expert panel will then pick an overall winner to be announced at an awards ceremony in October 2019. Nominations for the Family Friendly Museum Award can be made by anyone – children, parents, carers, grandparents, aunties, uncles – or by museums themselves. To make a nomination, visit the Kids in Museums website and fill in the online form at the bottom of the page. Nominations close at noon on 31 May 2019.